SOCHI, Jun. 19, 2017 (AMP) — Russia 2017 : Germany defeated Australia by a score of 3-2 (halftime: 2-1), in a Confederations Cup group stage game on Monday night at the Fisht Olympic Stadium in Sochi. Germany dominated the first half thanks to goals from Stindl ('5) and Draxler ('44 on penalty). Leading 2-1 at the break, the Germans further widened their lead in the second period with a goal by Goretzka in the 48th minute. The result put the Germans second in Group B with 3 points. In their next game, Germany will meet group leaders Chile at the Fisht Olympic Stadium on June 22, while Australia will face Cameroon. 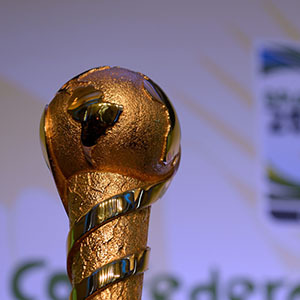 Read on to know more on the history and origin of the FIFA Confederations Cup.